In our series of fortnightly events, IE Professor and Vice President for External Relations Gonzalo Garland will be flying in to speak about the current state of the economy in several regions and countries. We will discuss the potential future implications of the changes that we are witnessing at the local and global level. Ten years after the Great Recession the world has recovered; albeit at different speeds in different parts of the world. When it seemed that growth was consolidating in most regions of the world, political changes have increased uncertainty worldwide. The election of Donald Trump as President of the United States has led to questioning of free trade as a critical element in economic growth and development, which constituted a fundamental basis of globalization in recent decades. At the same time the Brexit vote has led to what some analysts call an “existential crisis” in Europe; changes in monetary policies and capital flows have created new conditions that increase uncertainty in emerging markets. The master class will be followed by a networking cocktail where you will be able to continue discussions with our professor and meet IE alumni. 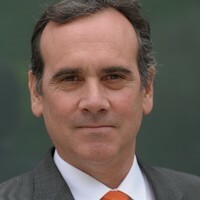 Vice President of External Relations at IE Business School. He studied economics at Universidad del Pacifico in Peru, in the Universities of Stanford and Pennsylvania in the United States. At present, he combines his management responsibilities with teaching courses on Managerial Economics, Country Analysis and Economic Development.